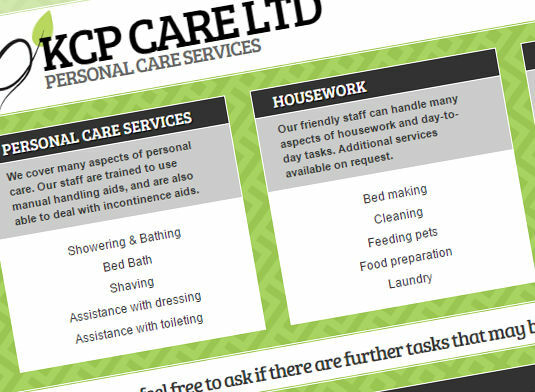 KCP Care Ltd were a new startup company when I was tasked with giving them a web presence. KCP provide personal care in and around Bicester in Oxfordshire. Tasked with creating a website that was easy to use and focused directly on the services that the company provide. The colours were kept quite light and inviting to offer a sense of comfort and warmth to the user. The logo was designed with the company ethos in mind: personal, friendly and caring.